About two hours before scheduled kickoff in Cary, North Carolina, on Saturday, the sun broke through the clouds and warmed the early-spring air. 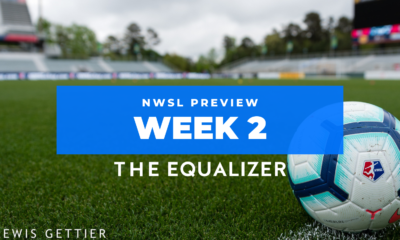 Two straight days of rain and the threat of thunderstorms had cleared out just in time for the start of the seventh National Women’s Soccer League season. 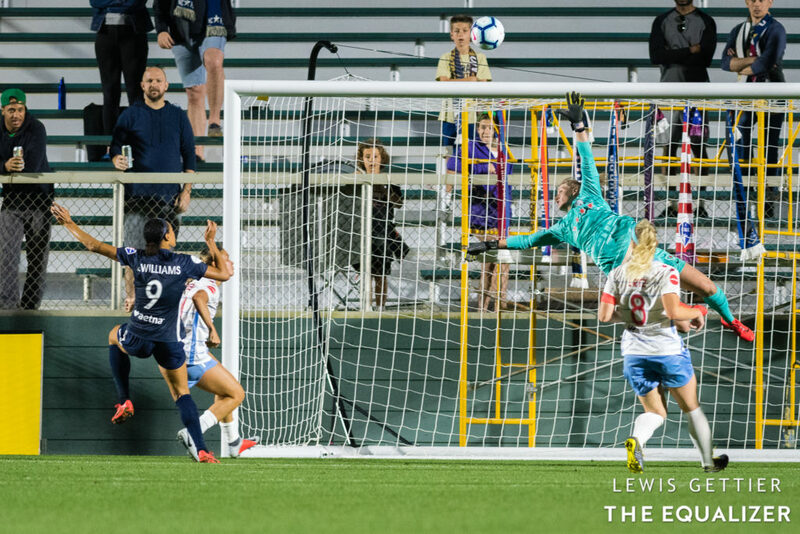 North Carolina Courage players gathered under the suddenly pristine playing conditions to receive their 2018 championship rings. The procession went quickly, with a few of the new players – those who hadn’t experienced last year’s historic season – watching from in front of the new, leather bench seats. One by one, the champions walked behind the sign which read, “2018 TREBLE WINNERS” before putting on their rings and posing for photos. A few minutes later, the rings were gone – stowed away safely in the locker room – and training tops had been shed, with players in their new 2019 kits, star over the crest and all. The new season had arrived. 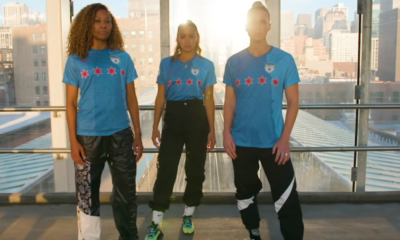 The quietest NWSL offseason to date was in the books, and for all the lack of buzz around the league’s return, we were back to soccer. 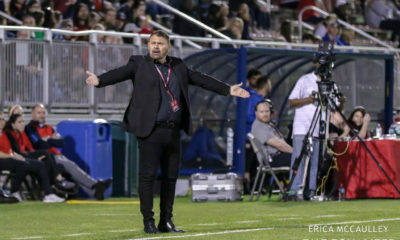 Sky Blue FC and the Washington Spirit kicked off at the same time, 300 miles north, and thus began the six-month journey for the next champion. Week 1 offered a little bit of new and a whole lot of what felt like the same from some teams (perhaps a sign of the long-sought after continuity and stability for the sport). There were a few notable goals, plenty of saves, and what felt like an awful lot of ringing of the woodwork. These are the talking points from opening weekend. Portland Thorns FC’s 2-0 victory over the Orlando Pride really doesn’t do justice to the flow of the match. Statistically, the Pride looked like they were in the match. They narrowly had the better of possession, completed more passes, and won more duels, per Opta. Alex Morgan hit the woodwork twice in the first half. But the Pride were overrun in midfield, particularly in the first half. Thorns midfielders Celeste Boureille, Lindsey Horan and Christine Sinclair were left to roam free. 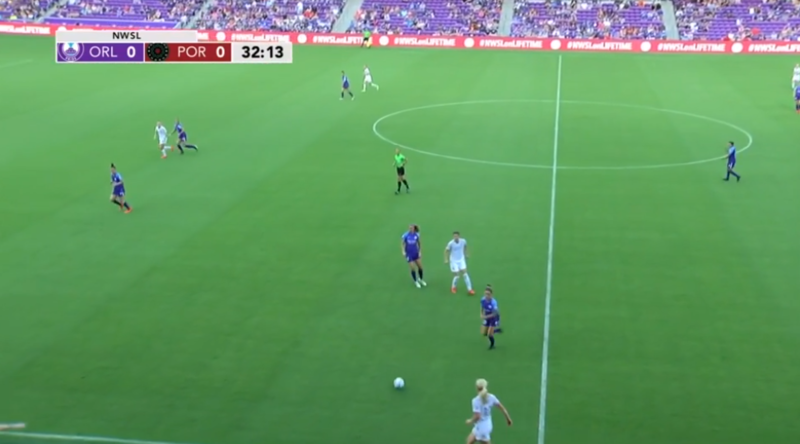 And Portland’s high pressure put Orlando – everyone from veteran Ali Krieger to supplemental player Joanna Boyles, who earned a surprising start – under immense pressure, forcing the Pride to play negative passes frequently. 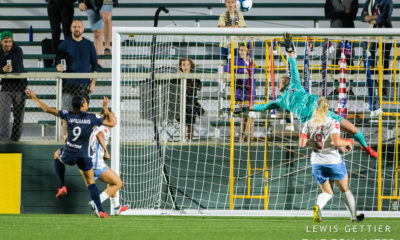 Caitlin Foord’s goal just before halftime was a product of exactly that: Shelina Zadorsky played a lazy ball back to goalkeeper Ashlyn Harris, whose clearance didn’t go far under pressure. The Thorns finished off the play a few seconds later.